Charting a course for investment success. At MACM, our investment philosophy emphasizes long-term outperformance and risk-management through active asset allocation. We aim to provide lifelong wealth management solutions. We seek to provide above average total returns through all market cycles through investments in equities, fixed income, commodities, real estate, cash and alternative positions. We offer a variety of investment strategies that encompass a full spectrum of risk/return profiles. Our investment team integrates bottom-up research into a top-down macroeconomic framework in developing our investment strategies. Inflation, interest rates, government policy, economic growth, and MACM’s global outlook are the driving macro factors influencing the direction of our investments. Through a disciplined and consistent approach, we seek to provide superior investment results in all market and economic conditions. As an independent, fee-only investment advisor, MACM is well positioned to deliver objective investment management that is truly aligned with our clients’ interests. 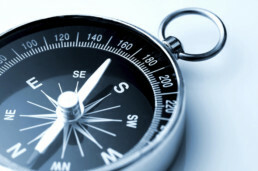 With MACM, you can be sure you are charting a course for investment success. Through a disciplined and consistent approach, we seek to provide superior investment results in all market and economic conditions. Mr. Anthony entered the financial industry in 1982 as an Investment Consultant and Portfolio Manager with Dean Witter and later continued his career at Shearson Lehman. In 1991, he founded Concord Investment Counsel, where Mr. Anthony led the way to the firm’s strong track record of success spanning nearly three decades. Concord Investment Counsel ultimately rebranded as Mitchell Anthony Capital Management in 2017, emphasizing the unique and unparalleled stewardship that Mr. Anthony brings to the firm. Mr. Anthony is responsible for oversight and implementation of investments across all of MACM’s strategies. 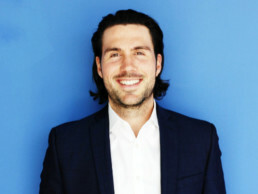 Mr. Anthony’s unique knowledge of investment management, financial research, and economic forecasting is highly regarded within Southern California’s business and investment communities. 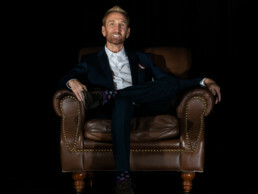 He is a regular speaker with management groups of major corporations throughout California. Mr. Anthony holds a Bachelor of Science degree in Civil Engineering from Colorado State University. Mr. Anthony also attended graduate business studies at Arizona State University. Mr. Aron is a key member of both the investment research and portfolio management divisions at MACM. 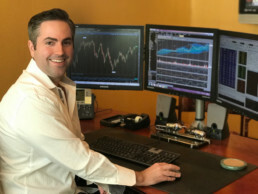 He specializes in providing focused quantitative analysis, research, and risk management to help build the foundations of our investment strategies. Mr. Aron further adds macroeconomic analysis and framework to MACM’s perspectives, drawing from his background in economics and business. Prior to joining MACM’s predecessor Concord Investment Counsel in 2010, Mr. Aron worked as a financial advisor with Eagle Strategies, the specialized high-net-worth asset management division of New York Life. Mr. Aron holds a Bachelor of Arts degree in Economics with a concentration in Finance from UCLA. Mr. May adds strength to MACM’s strategic research division, while also aiding in client services and portfolio administration. Having received his B.S. in computer information technology, Mr. May brings unique skills and insights to the firm. These strengths are bolstered by May’s accomplished work history in both technology and finance related roles, including work in J.P Morgan’s banking technology division, as well as the global banking and markets division of Bank of America. Mr. May holds a Bachelor of Science degree in Computer Information Technology from Purdue University. Mitchell Anthony Capital Management is an independent, fee-only investment advisor. Formerly Concord Investment Counsel, the firm was established by Mr. Anthony in 1991. Mr. Anthony has served as the President and Chief Investment Officer throughout the firm’s entire history, which boasts a strong in-house research team and an industry-leading, dynamic asset-allocation investment management style. For nearly three decades, the firm has provided unparalleled investment success for its clients, including full-service, customized wealth management with innovative investment solutions. While the firm has grown and matured, the investment philosophy remains the same – to offer prudent and consistent investment strategies built on a proven process, good information, and sound judgment. Concord Investment Counsel rebranded as Mitchell Anthony Capital Management in 2017, emphasizing the unique and unparalleled stewardship that Mr. Anthony brings to the firm. Mr. Anthony remains responsible for the oversight and implementation of investments across all of MACM’s strategies. At MACM, all clients interface directly with Mr. Anthony and the senior investment and advisory teams, ensuring the highest caliber of service. Unlike many advisors working with large brokerages and banks, MACM is an independent manager, free to utilize the best investments available for our clients. We are not captive to using only in-house products or funds. As an independent advisor, we pride ourselves on our independent research, analysis, and decision making. In addition, our fee-only structure aligns our interests with our clients’ – as your investments grow, we grow. We don’t make money by charging commission or selling fee-loaded funds.